A visitor checks out a Lexus car, similar to a one used in the Black Panther film, that is on display outside an invitation-only screening, at the King Abdullah Financial District Theater, in Riyadh, Saudi Arabia, Wednesday, April 18, 2018. 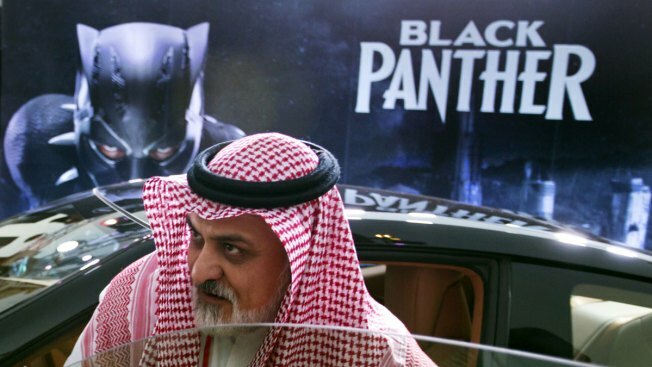 Saudi Arabia held a private screening of the Hollywood blockbuster "Black Panther" Wednesday, to herald the launch of movie theaters that are set to open to the public next month. The lights dimmed and the crowd of men and women erupted into applause and hoots as Hollywood's blockbuster "Black Panther" premiered in Saudi Arabia's first movie theater. Movies screened in Saudi cinemas will be subject to approval by government censors, and Wednesday night's premiere was no exception. Scenes of violence were not cut, but a final scene involving a kiss was axed. Letitia Wright of "Black Panther" and The Roots' Black Thought take turns working three random words they've never seen before into a freestyle rap (plus a surprise freestyle from Jimmy Fallon). Samer Alsourani traveled from Saudi Arabia's Eastern Province for the event. He commended the crown prince for following through on his promises to modernize the country. "This is the first time that we really see something that's really being materialized," he said. AMC has partnered with a subsidiary of Saudi Arabia's sovereign wealth fund, known as the Public Investment Fund, to build up to 40 AMC cinemas across the country over the next five years. In the 1970s, there were informal movie screenings but the experience could be interrupted by the country's religious police, whose powers have since been curbed. Jamal Khashoggi, a dissident Saudi writer, describes the theaters of the 1970s as being "like American drive-ins, except much more informal." In an opinion piece for The Washington Post, he wrote that a friend once broke his leg at a screening in Medina when he jumped off a wall to escape the religious police and avoid arrest. Access to streaming services, such as Netflix, and satellite TV steadily eroded attempts by the government to censor what the Saudi public could view. By 2013, the film "Wadjda" made history by becoming the first Academy Award entry for Saudi Arabia, though it wasn't nominated for the Oscars. 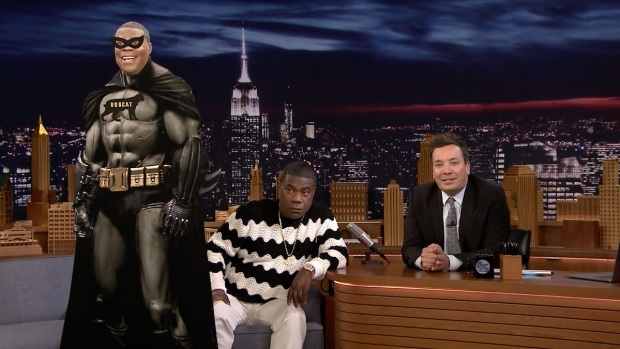 Tracy Morgan reveals the inspiration for "Black Panther" was stolen from his Black Bobcat, chats about his TBS series "The Last O.G." and explains why "Saturday Night Live's" Lorne Michaels will forever be his and Jimmy's O.G. Saudi Minister of Culture and Information Awwad Alawwad told The Associated Press the government aims to strike a balance between the country's Islamic mores and people's movie experiences.